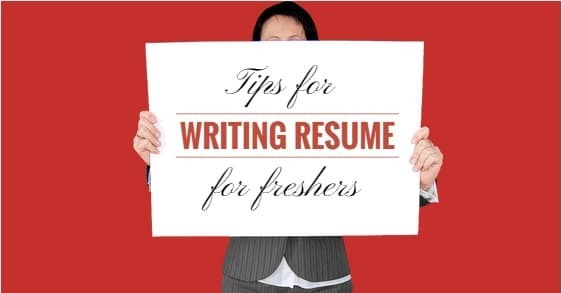 Perhaps one of the nightmares of every student is 'How to write a Resume?'. Resume writing is the first step before you apply to any firm. Nowadays, some major companies even shortlist candidates through Resume screening software which speeds-up the process of hiring. So it is imperative that you must prepare a well-written resume and make sure there are no errors in it. One other thing that candidates need to keep in mind is that the information presented must be up to date. Before sending your resume anywhere, you must get it checked by your teachers and friends as sometimes we tend to skip seeing some silly errors which others may point out easily. 1. The Resume should be useful- It must not contain anything which is completely out of context and might not be useful to the employer. For example, your employer might not be very interested in your siblings' occupation etc. 2. Don't keep it same for every company- Your resume must be tailored according to the company's needs. 3. The document must be easy to read. 4. Allow some space between different elements- It gives a clean look. 5. Check thrice for spelling mistakes- They really cast a bad impression and reflect negligence on your part. 6. Prepare your Resume well in time- so that you have it ready anytime you need it. 7. Don't make it too lengthy- Try to keep the matter condensed and do not stretch things unnecessarily. No one has the time to read it for more than a minute or two. 8. Keep it sober- Do not decorate your resume with stuff which would make it look unprofessional. A decent and light background may be acceptable but it should not be emphasized. 9. Update your Resume frequently. Although the above list is pretty much exhaustive, you might want to include some other points suited to your particular needs. The above-mentioned points are for freshers who do not have any work experience to show. I hope this post helps you. Of course, not everything could be covered and that is why I want you guys to also share some tips which can help others build a strong Resume. All the best! The resume is the most important part and the stepping stone when applying for a job. It should contain useful information about your work history, education, skill set and a well-written resume will always help you to bag the job you are looking for. Though there is no general or standardized format of a resume, it must contain the points as mentioned above and also the information to let the recruiter know that you are fit for this role. The resume should ideally be tailor-made for every company or role one is applying for. One should also note that a well-written resume will not guarantee that you are going to get the job. The purpose of the resume is to secure a chance for an interview or maybe cross the initial screening. So don't put each and every detail on the resume as the recruiter simply don't have time to read anything longer than 2-3 pages (except if you are applying for an advanced role). Hello, good tips overhere, they are totally will be useful for someone. But even with such a good tips some people still wont be able to do it by themselfs, just like me. For those ones, who are same as me, i can recommend this site. I was using their services when was looking for a job and they did really great job. Give them a try.